THE AMUNDRUDS blend faith-based lyrics with the musical styles of pop and country. The Amundruds share a message of Hope in Jesus wherever they go. Excitement, Spiritual anointing, Christian family values and encouraging stories combined with great Gospel music make up a concert with The Amundruds. In the midst of our struggles and trials, it is reassuring to be reminded of the hope we have in Jesus. Gary, Daryl, Sheri, Jessica & Willeke Amundrud joined by Glen & Linda Amundrud all share a common desire to touch lives with their music. Their ability to communicate through song has made them a favorite in Gospel music today with their appearances at music festivals and concerts across North America. The group's contagious energy spreads through entertaining performances bringing listeners their refreshing approach to well-known Gospel & CCM songs as well as their own new material that is distinctly The Amundruds. Glen and Linda were married in 1974 and accepted the Lord shortly after. Their faith has been challenged from time to time. They were unable to have children, but they fasted and prayed. God answered prayer after eight years of longing, trusting and waiting for a miracle. They were blessed with two sons, Gary and Daryl, and two daughters, Lorilyn & Sheri. They all love the Lord and serve Him. They have received recognitions from the Gospel Music Association (GMA Canada), the Saskatchewan Country Music Association (SCMA - Canada), the Inspirational Country Music Association (ICM - USA), and the SGN Diamond Awards (USA). Their latest CD, "Sweetest Sound" was named Country Album of the Year at this year's GMA Covenant Awards. Even more rewarding has been the opportunity to meet with people in towns and cities across Canada and the United States. The Amundruds' goal is to be an encouragement to those they meet. 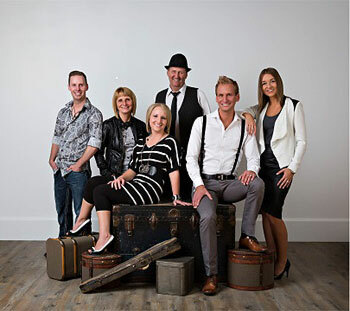 For more than 10 years this family group from Lloydminster, Saskatchewan has reached audiences through their thought-provoking lyrics, innovative musical arrangements and life-changing testimonies giving all the glory to God.